Puntius sachsii common name gold barb is a nippy fast moving tropical fish. They can grow up to 8 cm / 3 inches fully grown. They live in water parameters of Ph ranges of 6.0-7.5, temperatures of 23-28 Celsius / 74-82 °F. 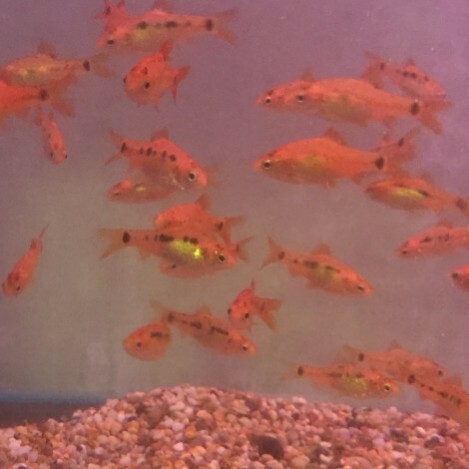 The golden barb fish is suppose to be a peaceful community fish, however they are a barb and barbs can be very nippy. We recommend keeping your eye on them with fish with long fins ( like fighters, or guppies) as they can nip at there fins. Keeping them well fed and in small groups however can stop them from nipping at other fish as golden barbs can be playful. They have a diet of small pellets or granular foods, and flake. Also frozen or live foods are a nice part of there diet. 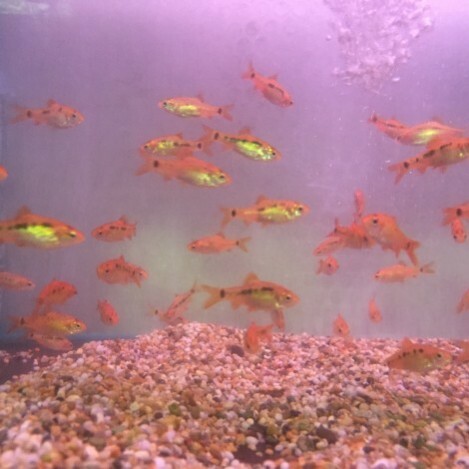 Golden barbs will eat anything from flake, pellet, granular, to live and frozen foods. As they are only small they don’t need anything to big. 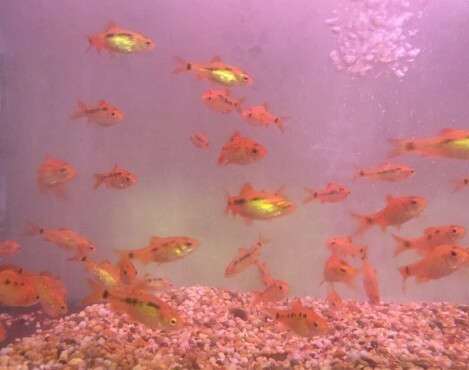 A colour enhancing food is good to feed the golden barbs to keep there golden colour bright. Feeding once a day is more than enough for these fish.